Submitted by tr.maria on January 19, 2008 - 2:23pm. 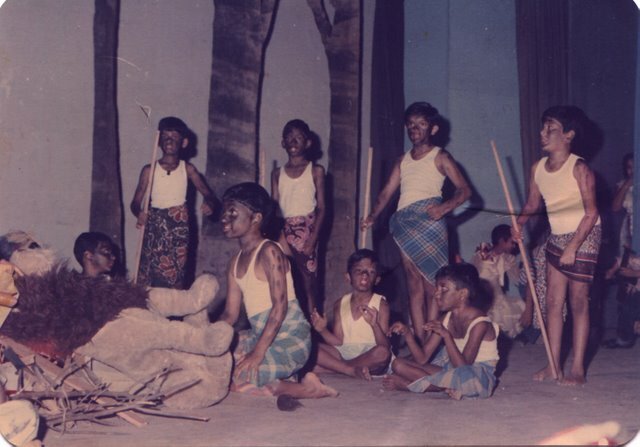 The picture is that of the Annual Day of 1986. I can recognise Dirk in the picture.My son Sunil too took part though not in this picture. God! I have that same pic.. Submitted by vikram on March 23, 2007 - 4:03am. God! I have that same pic.. I'm one of the seated kids.. I even remember the song a little... Ging Gang Guly... or something.. I think its 4th std.. Submitted by LYON VAZ on December 11, 2007 - 11:35pm.